Take up 25% off your Shopbop purchase through today!! Have your eyes on some designer items? Shopbop is running an excellent promo this weekend! Seen here: Joie’s Altha Dress ($428). Shopping for Spring is beginning to get very exciting, and a well-timed promo from Shopbop is certainly helping! Although the designer pieces tend to get all of the attention, there are some of our favorite community brands included in the sale too. This promo ends tonight, so now is the time to act! 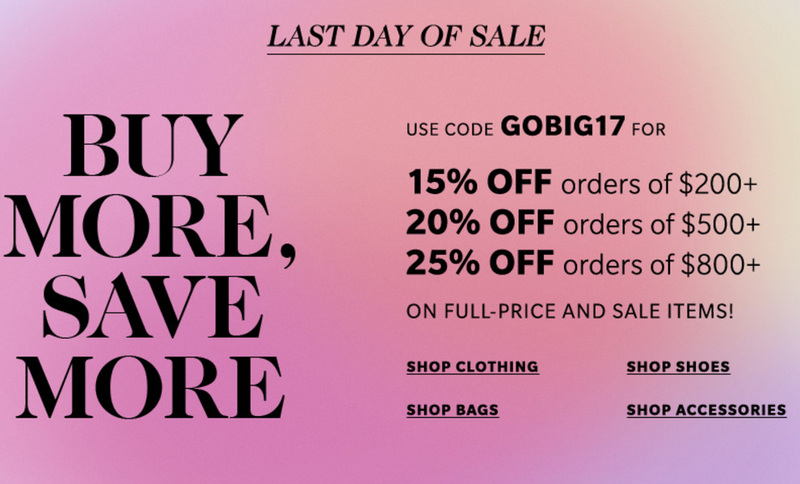 Take up to 25% off your Shopbop order through tonight! If you’re thinking of purchasing a big ticket item this promo certainly helps a lot! That’s the way I leaned, including the Rebecca Taylor Washed Leather Jacket ($895) in lavender I’ve been dreaming of in my order to land at the highest promo discount. But just because you can go big doesn’t mean luxury designers only! Included in this promo are some of my favorite everyday brands too including Free People, Madewell, Joie, Kate Spade and Stuart Weitzman. 1 | I adore this Rebecca Taylor Lace Top ($375) and only wish my size (a 10 in this designer!) were in stock to order. 2 | This Derek Lam 10 Crosby Cross Back Sweater ($425) has lots of Spring potential! 3 | I’m loving the little pom accent on these Madewell Lainy Ankle Wrap Sandals ($110). 4 | Speaking of poms, the Sam Edelman Leya Velvet Pom Pom Sneakers ($100) are quite fun! Also in grey. 5 | These Loeffler Randall Piper Wedge Sandals ($350) are sure to complete any outfit beautifully. 6 | Speaking of Loeffler Randall, I’ve been drooling over their Dome Satchel ($450) for quite awhile and this was the perfect excuse to order it! 7 | I love the color and style of this Rebecca Taylor Tumbled Leather Skirt ($795), and the promo discount would go a long way here! 8 | I wish I’d seen these cute Dolce Vita Pedra Sandals ($120) before I’d left for vacation! They look summer wonderful. 9 | I love the ring accent on the See by Chloe Leon Open Toe Booties ($365). 10 | The contrast stitching on the Derek Lam 10 Crosby Raw Denim Sleeveless Fitted Dress ($425) is divine. 11 | These Dolce Vita Luci Sandals ($140) would look so good with a denim skirt! 12 | I’ve been wearing Free People’s Little Sway Mini Dress ($148) in pink alllllll vacation long. Runs TTS. 13 | Madewell’s Washed Leather Motorcycle Jacket ($498), which almost never goes on sale, is included in this promo! 14 | I love these Fuxia Stuart Weitzman Memoir Sandals ($425) so, so much! 15 | And on the sleek side we have the Myex Sandals ($455). 16 | Although boot season is nearly over, I can’t help but adore these FREEBIRD by Steven Coal Tall Boots (now $245) — yes, the code works on sale items too. 17 | The Kate Spade New York When Pigs Fly Coin Purse (now $69) would make a terrific gift. 18 | I find these Kate Spade New York Moroccan Tile Chandelier Earrings ($148) beautiful. 19 | There are some cute Madewell bags included in this promo, like the Circle Cross Body Bag ($128) and the Suede Mini Transport Tote ($148). 20 | Want your moto jacket to be pink? Free People has you covered. 21 | I also like their WTF Embellished Parka ($298) very much! 22 | Their lightweight Runaway Top ($98) is another winner. 23 | Joie’s A La Plage Sable Two Band Sandals ($125) look perfectly beach-ready. 24 | As do the Saburo Wrap Sandals ($198). 25 | Let’s end where we began with another Joie dress, the beautiful Grover Dress ($398). What Shopbop items do you recommend during this promotion? Previous Post New Anthropologie sale items are here!! Next Post Here’s how to get 15% off your Madewell purchase right now! !